Freemasonry goes farther and attacks Catholicism openly. The Corruption and Nepotism of Freemasonry It is a fact attested by experienced men of all countries that, wherever Masonry is influential, non-Masons have to suffer in their interests from the systematical preferment which Masons give each other in appointment to offices and employment…which is detrimental alike to civic equality and to public interests. In Masonic books and magazines unlawful and treacherous acts, performed in rendering this mutual assistance, are recommended and praised as a glory of Freemasonry. To destroy radically by open persecution of the Church or by a hypocritical fraudulent system of separation between State and Church, all social influence of the Church and of religion, insidiously called “clericalism”, and, as far as possible, to destroy the Church and all true, (i.e., superhuman) religion. Freemasonry’s Plan for Children To laicize, or secularize…all public and private life and, above all, popular instruction and education…. (including) anti-Catholic and even anti-Christian, atheistic, positivistic, or agnostic sectarianism in the garb of unsectarianism. Freedom of thought and conscience of the children has to be developed systematically in the child at school and protected, as far as possible, against all disturbing influences, not only of the Church and priests, but also of the children’s own parents, if necessary, even by means of moral and physical compulsion. Freemasonry’s Inherent Danger to Society (Even if) some Masonic associations pursued for themselves no purposes contrary to religion and to public order, they would be nevertheless contrary to public order, because by their very existence as secret societies based on the Masonic principles, they encourage and promote the foundation of other really dangerous secret societies and render difficult, if not impossible, efficacious action of the civil and ecclesiastical authorities against them. (Roman Catholic) Papal edicts and censures against Freemasonry have often been the occasion of erroneous and unjust charges. The excommunication was interpreted as an “imprecation” that cursed all Freemasons and doomed them to perdition…The pope and the bishops, therefore, as faithful pastors of Christ’s flock, cannot but condemn Freemasonry. The fact of the matter is that Roman Catholicism continues to be the leading organization of Christianity with by far the greatest number of adherents world-wide. Fortunately, 21st century Evangelical Protestant America appears to finally be waking up from their metaphysical slumber, realizing that their fellow Christian neighbors who are also Freemasons may be at least slightly hypocritical concerning their membership in the Craft (Slang for Freemasonry). Indeed, a growing number of Protestant Christian Churches have publicly expressed their opposition to Freemasonry, calling it a blatantly Pagan organization that may well continue to grow more and more hostile to Christianity as the years and decades go by. Here is a short list of Protestant Churches that have spoken out against Freemasonry within the past 50 years. Does the Judeo-Christian tradition stand in any danger of collapse or eventual defeat by Freemasonry? The answer is probably not, but the soul of every man (and woman) is considered equally important, just as the continued allure and temptation of joining Freemasonry may pose a danger to the 2,000 year-old Judeo-Christian method of spiritual redemption after death. God-fearing believers need to remember that this system was founded upon principles of justice that see everyone as being worthy enough to be saved and, after proper penance, to eventually be allowed into Paradise to meet face-to-face with the one, true God, the LORD God of Israel. Presbyterian Church of America, 1988 No one shall be received into membership into a (Presbyterian) church who is a member of a Masonic organization….in light of the clear statement of incompatibility of Freemasonry with Biblical Christianity. Orthodox Presbyterian Church The evidence presented concerning the religion of Masonry permits but one conclusion… that Masonry is a religious institution and as such is definitely anti-Christian… membership in the Masonic fraternity is inconsistent with Christianity. Christian Reformed Church of America, 1974 Membership in the lodge and in the church of Jesus Christ involves a double commitment which our Lord himself does not tolerate. Those in the church who affiliate with the Lodge must be shown the error of their way, and if they refuse to repent must be placed under the censure of the Church. Church of Scotland, 1965 In our view total obedience to Christ precludes joining…the Masonic movement which seems to demand a wholehearted allegiance to itself, and at the same time refuses to divulge all that is involved in that allegiance… The initiate is required to commit himself to Masonry in a way that a Christian only should commit himself to Christ. Free Church of Scotland In the minds of the committee, according to their interpretations of the IScriptures, membership of Freemasonry… is inconsistent with a profession of the Christian faith. Baptist Church of Scotland (Great Britain and Ireland), 1987 The clear conclusion we have reached from our inquiry is that there is an inherent incompatibility between Freemasonry and the Christian faith. Anglican Church of England, 1987 There are a number of very fundamental reasons to question the compatibility of Freemasonry with Christianity. Russian Orthodox Church The Church does not worship the god that is worshipped in Masonic temples… Masonry is a spiritual disease and is a rival of the Church…It declares that it is not a religion and yet claims to be religious… Since Masonry rejects the divinity of Jesus Christ and places Him on an equal level with founders of other religions, every Christian should stop and realise the implications of Masonry to his Christian faith. Methodist Church of England, 1985 There is a great danger that the Christian who becomes a Freemason will find himself compromising his Christian beliefs or his allegiance to Christ, perhaps without realising what he is doing. Lutheran Church, 1958 Masonry is guilty of idolatry. Its worship and prayers are idol worship. The Masons may not with their hands…but they created one with their own mind and reason out of purely human thoughts and ideas. The latter is an idol no less than the former. Roman Catholic Church, 1985 The principles and basic rituals of Masonry embody a naturalistic religion, active participation in which is incompatible with Christian faith and practice. Those who knowingly embrace such principles are committing serious sin… In depth research on the ritual and on the Masonic mentality makes it clear that it is impossible to belong to the Catholic Church and to Freemasonry at the same time. Many observers still remain confused by the term Jew. Is it an ethnicity or a religious affiliation? Most scholars would say both. Anyone who follows the religion of Judaism is a Jew, just as any individual born of a Jewish mother is also called a Jew. One could have pure Scandinavian or African heritage and still be a Jew through conversion. Jews can also be Pagan, or even Satanic, as well as uncircumcised as long as their mother was of Jewish blood. In short, the word Jew has two definitions. It is both a religious and ethnic term that depends on how it is utilized. With that in mind, it is difficult to generalize about what Jewish reality is actually about. Is it a religious or ethnically based outlook? The answer, quite simply, is both. This has been the bane for many Jews throughout the ages, mostly because some Jews have taken it upon themselves to propagate ideas that are antithetical to the religion of Judaism. Several Jews, none of whom were religious, have publicly advocated anti-Christian, and anti-Jewish, policies that have caused Gentile Christians to deceitfully blame all the Jews in retaliation. Such is the paradox, and danger, of the word Jew. A very hurtful joke among Gentiles has been that they are quite glad not to be God’s Chosen People- chosen to be spat upon and despised. For the purposes of simplicity, the words Jew and Jewish shall refer to those who adhere to the religion of Judaism. According to the Holy Bible, Jews are God’s Chosen People and subject to laws that others are not required to obey. These include circumcision, kosher food requirements, along with a host of other rules that have been followed by the descendants of Judah since the time of Moses. In all, there are 613 commandments to the religion of Judaism. Some contend that the religion of Judaism, as with Christianity, is a thing of the past and will, in time, fade away to become yet another historical footnote. Others, mainly Protestant Christians, are ecstatic about the massive intermarriage that is taking place between Jews and Gentiles and the slow, but steady conversion rate to Christianity that is also happening among American Jews. Those who have seen the statistics are supremely confident that, outside of Israel, most Jews will be Christian by the end of this century. Are the Jews on the road to extinction? Not exactly. Right now there are three main denominations of Judaism. They are called Orthodox, Conservative and Reform Judaism. The vast majority of intermarriage and conversion to Christianity is occurring in the Conservative and Reform communities, not in the Orthodox. What is most likely to happen is that Jewish reality, far from disappearing, will experience a revival that will turn many Jews towards the oldest and most authentic form of Judaism called Orthodoxy. This type of Judaism has long viewed both Conservative and Reform Judaism as blasphemy and heresy, just as devout Roman Catholics have often regarded Protestant Christianity in a similar manner. It should be remembered that Jesus was an Orthodox Jew. There was really no other actual form of Judaism at the time. Many Jews will contend that Orthodoxy descends directly from Moses and his teachings, similar to the way Roman Catholicism comes straight from the actual Apostles and disciples of Rabbi Jesus. It is not so much that Orthodox Judaism deserves to survive is that it will survive, which is how the Church wants it. This isn’t a popularity contest. To both of them, Reform and Conservative Jews were, and are, heretics who are destined to either fall away from actual Judaism or be reconverted to the one true faith of Orthodox Judaism, which in fairness should simply be called Judaism. The ranks of Orthodoxy will grow in number both in Israel and in the United States due to conversion and the large number of children found in Orthodox families. Reform and Conservative Judaism will continue to dwindle away as the years go by. Jewish reality, so often a source of pain, disappointment, despair and suffering is about to change. It has been changing since 1945. Hitler and the Nazis lost the war and, more importantly, they lost the debate about how to solve the Jewish ‘problem’. The problem was not with the Jews, it was with the Gentiles and their inability to act like their LORD and savior Rabbi Jesus did by forgiving them. As Jesus Himself said while suffering on the cross, ‘Father forgive them, for they know not what they do.’ Will Jewish reality survive acceptance and tolerance rather than persecution? Some contend that without the hatred and disdain of the Gentiles, Jews will assimilate rapidly and Judaism will fade away until there are none left to practice it. Others contend that history is simply returning to an age-old reality that the Jews were, and are destined to be, God’s chosen people and ‘a light unto the Gentiles’. In the future, as in the past, Jews will return to being a noble, honorable, dignified people rather than the cringing, pathetic stereotypes caused by centuries of Christian hatred and abuse. The return of the Jewish nobleman, respected throughout Gentile society, has just started and will continue indefinitely. Some old-fashioned Catholics will cheerfully inform you that Protestants have all been roasting in Hell ever since Martin Luther passed on. Having discovered the truth behind this claim, some of them become more stubborn than a mule and continue to insist they are in Heaven unto this very day. They might also tell you that more than a few Protestants are guaranteed to act exactly like Martin Luther on any given occasion. They act like Nazis whenever they are ‘winning’, and Soviets whenever they are ‘losing’. Sadly, they flat-out refuse to listen to anyone who tries telling them that life is no game and death is most certainly no laughing matter. Even today there are still a few highly-educated Catholics who will warn you that many Protestants, especially those who are also Freemasons continue to secretly, and sometimes openly, worship Zeus/Jupiter as God the Father and Apollo as the Son, mostly because they would never, ever, actually accept a Jew as their Immortal God or their Heavenly King. Most Catholics don’t find this out until after they die, while those who do are attacked for their beliefs and remain somewhat in danger their whole lives, mainly because of the powerful Protestant Gentile/Freemasonry establishment lobby. The American Protestant ‘powers that be’ also do not want any Jew to ever know that this nation’s Protestant/Freemason Establishment secretly despises them, or that their grandfathers and fathers secretly rooted for Hitler during World War II. Even so, the miraculous invention of the Atomic Bomb by a group of almost exclusively Jewish scientists, decades after having been theoretically discovered by a Jewish physicist named Einstein, ended up causing the demonic Protestant/Freemasonry ruling class to suddenly become quite wary of their unexplained power and continued post-Holocaust success, both in this country and in Israel. Today, their basic strategy of lies and deception is to keep the Jews too busy working and making money to ever really wonder about who actually controls the American after-life, namely the American world of the dead. In the meantime, the Protestant heretics fully intend on keeping every living Jew and/or Catholic totally clueless about the after-life, so that their own hand-picked proteges, their own 21st century Sons of Freemasonry, can continue to retain exclusive access, power and control over the American spiritual realm. Seen in perspective, these Catholic ‘conspiracy theories’ about American Protestants should always be taken with a grain of salt, even though they may sometimes come dangerously close to the truth. Accusations against Freemasons and their deluded Protestant masses have diminished in recent years because the Church has finally recognized that what they see as blatantly obvious, historical evidence that Freemasonry is evil, wicked, Pagan and anti-Christian does nothing to convince non-Catholics that Freemasonry should be outlawed and legally prohibited from ever being re-organized. Tragically, 99% of Americans have absolutely no idea that the most successful third party in the history of this country was officially called the anti-Masonic Party. As the name implies, this political party was founded upon a very intense opposition to any and all forms of Freemasonry. Party members included Founding Father and former US President James Quincy Adams. Since that time, the near total social, cultural, and intellectual black-out about publicizing or mentioning the evils of Freemasonry, the Catholic Church of today is also slowly learning to deal with a 500 year old movement that calls itself Protestant Christianity, but is nothing more than international Freemasonry in reality. Suffice it to say, St. Peter and his international team of Church Angels seem to finally be willing to listen to others, to control their anger, and to try dealing rationally with a heretical, yet very seductive, religious viewpoint that does not seem to be going away anytime soon. The astonishing disappearance of open and public Roman Catholic Church warnings and denunciations of Freemasonry seem to indicate that the devout and righteous forces of St. Peter have finally learned to appear more tolerant, and perhaps even a bit clueless, about the demonically Protestant American world of today. This should be seen as a much-needed improvement in Church strategy, a deliberate attempt to ‘be wise as serpents’ when dealing with their enemy. As far as they were concerned, Protestant Christianity was, and is, little more than ‘the gates of hell’ in disguise, which were composed of two sexually violent men (pillars) intent on ‘spanking’ any disobedient Chatholic ghost/soul who refused to go upstairs to the the Protestant cesspool in the sky that the non-Catholic Christians still call Heaven. Put simply, Protestants were the builders, the heretics, the enemy. Some contend that this is still the case even today. Since 1945, this sort of thinking is being replaced by a more ecumenical understanding of Protestantism, one that takes into account a fairly recent phenomenon known as Evangelical Protestantism. To its own dismay, the Church of today is actually quite impressed and just a tad envious of what these Evangelicals have managed to accomplish in the last 50 years. It must be remembered that, since the Reformation, the difference between Catholic and Protestant was something that many Christians were willing to kill and die for. Catholics and Protestants would almost never intermarry and refused to be buried next to one another. Times have changed drastically, especially since the end of World War II, and even more so after Vatican II during the 1960s. To be honest, the current crisis occurring within the mainline denominations of Protestantism, especially in Europe, is something the Church has secretly desired for a long time. In truth, there remain forces in Roman Catholicism that want Protestant Christianity to be destroyed immediately, some would say by any means possible. They cheer on the current illegal immigration from Latin America knowing full well that it is religious warfare by any other name. They figure that by overwhelming this country through sheer numbers, Roman Catholicism will simply establish itself by default. They envision a situation where the Church rules from the northern reaches of Canada down to the tip of Chile. They rightfully view the United States as the last outpost of a renegade Christianity, backed by Freemasonry, that must be stopped at all costs. They see little difference between a Buddhist and a Protestant, both of them being heretics that need conversion. This may sound a little extreme, but Americans who are interested in the situation, especially Protestants, must remember that Roman Catholicism is found in literally every single nation on this planet. In reality, many Catholics in the United States do not always see themselves as Americans, even though they may actually be American citizens. 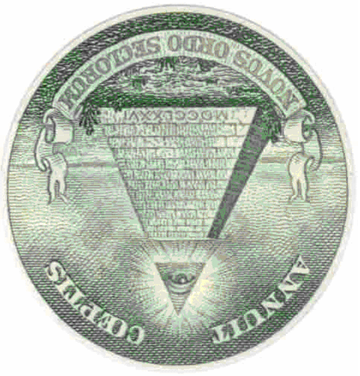 Many of them do not view this Protestant nation as ‘the most Christian nation in the world.’ Instead, they consider the United States a blasphemous abomination built upon lies and deceptions of Freemasonry with a pornographic culture that comes straight from Sodom and Gomorrah. Scratch an anti-American and many times you will find a Roman Catholic, or their hidden influence, hiding behind the rhetoric. Protestant: Man is saved through faith in Jesus Christ alone. Catholic: Salvation continues through a personal relationship with Jesus. Protestant: The entire Bible is the literal word of God. Protestant: The Bible, and not tradition, is the true source of Christianity. Evangelical Protestantism: Jesus Christ is LORD. Roman Catholicism: The LORD God of Israel consists of the Father, the Son, and the Holy Ghost. Evangelical Protestantism: Man is saved by faith alone. Roman Catholicism: Good works can, does, and will contribute to salvation. Evangelical Protestantism: Written by God. Roman Catholicism: Written by various men guided by God. At its worst, the Protestant mind is filled with superstitions, misconceptions, and self-righteousness. At its best, it is as sharp and keen as the most prominent, and insightful of the lethargic and media-shy, Roman Catholic theologians. One wonders why the best of them won’t simply convert to the faith of their forefathers and not to the plethora of denominations that calls itself Protestant Christianity. Too many Protestants are fixated on the Book of Revelation and its apocalyptic predictions. Many will state publicly that they truly believe they are living in the end times where an all-powerful New World Order is about to stamp the number 666 on everyone’s right hand and forehead. Get real. They also believe that the UPC bar code is possibly a precursor to this totalitarian system of the Beast. Evangelical Protestants need to wake up and see how foolish they appear to unbelievers by scaring themselves and others into thinking the end of the world is near. The United States is years, perhaps centuries, away from any real danger posed by a godless, technological dictatorship ruled by the devil himself. There are far too many God-fearing Christians, and Jews, who own guns and are either serving in the military now, or have served, that simply would not obey any orders that contradicted their deeply held religious faith. Too many people would fight back and the forces of Satan would lose in a big way. There is nothing to be truly scared of in today’s world except for a possible nuclear attack by Islamic terrorists. Rabbi Jesus is not coming to earth anytime soon. One of the primary reasons why is that He simply does not need to do so after having thoroughly discredited the diabolical, yet seemingly Judeo-Christian, political alternative to Christianity commonly known as International Socialism, or Communism. What makes the Protestants look even more foolish is their utter lack of understanding that perhaps Jesus Christ is too busy repairing the damage that has been done to the Eastern Orthodox Christian Kingdom of Heaven after Satan and his forces took over in 1918. Far too many American Protestants still do not realize that Russia was Christian for 1,000 years before becoming the Soviet bad guy during the Cold War. One must remember that it has only been since 1991, that the opposing Communist nuclear superpower known as the Soviet Union finally collapsed, thus proving to the entire world that Communism was an evil lie of the Devil. Sincere Christian Protestants who still want to meet Jesus in person as soon as they can, will simply have to wait until they die to finally meet Him in His fierce, hot, and most terrible Divine glory that will probably end up terrifying most of them anyway. Protestant Denial: God is not composed of three different entities. The sign of the cross is unnecessary ritual. Protestant Denial: Communion bread and wine is not the actual flesh and blood of Jesus Christ. Protestant Denial: The Pope is not infallible and is just another man like St. Peter was in the beginning. Protestant Denial: The tradition of the Saints has no Biblical basis. There is no proof they are in Heaven as the Church claims they are. Entire volumes could be written about why, where, and how the Protestants are wrong about Christianity. It is ironic that, on the Left, the mainline Protestant denominations are fast becoming pagan outlets of a cheap New Age spirituality with openly gay pastors and female witch reverends who lead the Sunday services and perhaps lecture them about the evils of homophobia. While, on the Right, the Evangelical Protestants are becoming hard-core followers of the laws of the Bible as they are written, in other words, very real 21st century ‘Judaizers’. Some cultural critics would complain that their modern, mega-Church services are still more like Hollywood game shows than true expressions of faith. It is true that, in the past, Evangelicals were too quick to blame the Jews, the feminists, and the homosexuals for this current crisis of faith rather than their fellow Protestants who are not following the laws of the Bible at all. In the end, it’s better to denounce all unbelievers equally than to single out historically oppressed minorities who do have reason to be agitated. Roman Catholicism, which has literally seen it all throughout history, truly wants these modern born-again Christians to succeed, but not as Protestants. They are much like 24-karat gold that is going unclaimed and unredeemed. Their souls are not necessarily the property of Luther, Calvin or Wesley. The faith of Jesus Christ is not a shopping mall with many different items to choose from. It was founded by Saint Peter in Rome and continues to this very day under the name of the Roman Catholic Church. It is to be hoped, and prayed for, that the protests among the heretic Christians will finally die down and they will willingly and proudly return to the faith of their fathers. Probably the most important aspect of Catholic reality, the one that Protestants hysterically deny, is that the Roman Catholic Church was, and still is, the original and most authentic form of Christianity. It is Christianity. This comes from the Gospels themselves thus making Protestants not only wrong by tradition, but wrong by the very Word of God. Rabbi Jesus tells Peter that he is destined to found a Church that will eventually take over the whole world and that he, and he alone, not Paul, is to be known as the founder and leader of all Christianity. of hell shall not prevail against it. I will give you the keys to the kingdom of Heaven. shall be loosed in heaven. IV. You will honor your father and mother. I believe in Jesus Christ, his only son, our Lord. He was conceived by the power of the Holy Ghost and born of the Virgin Mary. He suffered under Pontius Pilate, was crucified, died, and was buried. He descended into Hell. On the third day he rose again. He ascended into heaven and is seated at the right hand of the Father. He will come again to judge the living and the dead. The elements of the Church, which include the Ten Commandments (Law), the LORD’s prayer (Prayer), the Apostle’s Creed (Doctrine), the Seven Sacraments (Ritual), Deadly Sins (Evil), and Virtues (Good), provide the basic structure of Roman Catholicism today and in the future. Calls for changing any of them would be construed as blasphemy and heresy, not because they are hopelessly outdated, but because they don’t need to be changed. All of them are based upon Scriptures and are not simply ‘Roman’ traditions that are alien to the true Christian faith as some Protestants would have you believe. Contemporary observers of the Church, some of whom remain unbelievably deluded and implacably hostile towards this institution, actually believe it is possible, or likely, that the Church will eventually change its position on fundamental issues such as abortion, euthanasia, sexual perversion, and female priests. They mistakenly believe that they have all the answers to these so-called problems and that their vision of the future, instead of the Church’s, will prevail. Given the fact that these critics have only been around since the 1960s and are going to die soon makes the Church highly confident that Catholic reality will triumph over any other alternative reality. Today’s New Age values of tolerance for sexual degeneration and intolerance for female virginity does not scare or frighten the Church which is nearly 2,000 years old. The reason why is that the Church knows, for a fact, that true believers in God and Christianity will always out-reproduce nonbelievers. When it comes down to it, Christians will always outbreed the pagans, the agnostics, and the atheists. The future, as well as the past and the present, is Roman Catholic. Those who disagree should remember that, no matter what they say or what they do, they will always be outnumbered. In the end, Roman Catholic reality has already won.